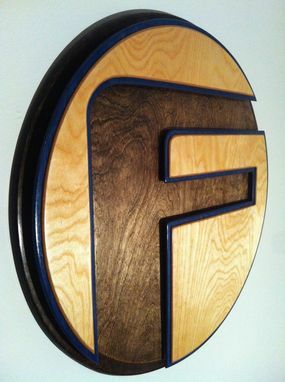 This is a custom designed piece based around the two dimensional logo of a gym in Anaheim, Ca. The piece was commissioned and set in motion all through email correspondence. The design is a hybrid of the artist's vision and the customer's ideas. Special thanks to Louie for making this one happen! 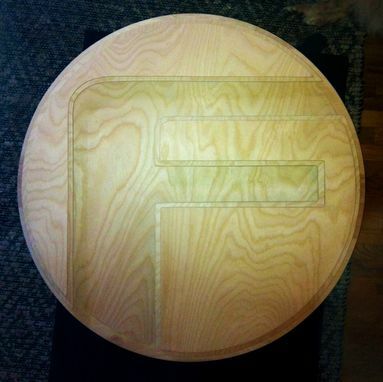 The piece is three layers of 1/4" birch. 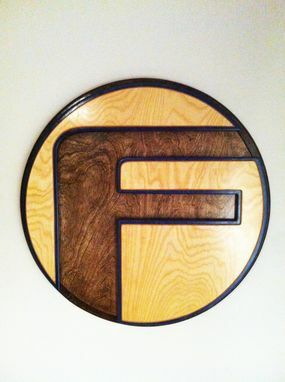 The first layer is a solid circle and the second two layers are cut from a single piece of wood creating a uniform grain across the whole piece. The piece is currently hanging front and center in the bouldering gym. The project is not just someone's business logo but a piece of art with a message. Taking a two dimensional picture and turning it into a three dimensional piece of art can be a challenge, but the end result is always more than worth it!